The first step in beginning your job search is to create a strong resume. A resume is often the first impression you will give a potential recruiter or employer, and therefore you must invest the time to make your resume stand out above the rest. At The Mason Group, our accounting and finance recruiters see hundreds of resumes a day and have come up with a list of proven strategies that will make your resume stand out among other applicants’. The truth is, “an employer or recruiter gives your resume about 30 seconds and many won’t flip to page two. With this in mind, you need to make sure the most important information pops up as efficiently as possible on the first page. This fact is true for all industries, not just accounting and finance,” says Katherine Marr, Director of Permanent Search at The Mason Group. The following are a few examples of the dos and don’ts that will help you build a stellar resume. To maximize your chances at landing your dream job, we recommend you pay close attention to the resume writing tips provided by our team. Other than your name, address (optional), and phone number, you will also want to provide your personal email. It is also a good idea to add your LinkedIn profile URL so that your interviewer can look up your profile if they wish to see any information you may have left out or excluded from your resume. This isn’t a necessary step, but it is one that is always appreciated. To ensure your job search remains as confidential as possible, we do not recommend you use a work email address unless you are comfortable with your employer possibly finding out about your job search. If you have a ‘cute’ personal email address that might not portray you in a professional manner, consider creating another email account solely for professional correspondences. There’s no need for a lengthy summary. It’s usually redundant and a waste of prime space. Instead, integrate this information into the section where you discuss your previous work experience. Reconsider the need for a second page too. 90% of employers don’t make it past the first, so you want the most important information about your education and work experience to be on the first page if possible. Is this information already included somewhere else? Am I repeating this? If so, choose where the statement is strongest and eliminate the redundancy. Is this relevant to this specific job? If not, lose it or archive it in case it pertains to a future job you wish to apply for. Have I highlighted my achievements with clear examples that demonstrate my added value? You want it to read as more than just a job description in that it should be exhibiting how skilled you are without appearing conceited and overconfident. As people who interview other people for a living, we can tell you that the best way of evaluating a potential job fit is to be in touch with yourself from the very start of your career. Recruiters are interested in examin­ing what skills you have accumulated over time and what direction you would like your career path to take. We start by understanding why you chose your education/designa­tion, where your career began, what led you to each employment opportunity, and what is driving your most recent career change. A reverse chronological resume allows an interview to flow more naturally and ensures all important details are addressed. Give real and tangible examples that show that you are a leader and that you are a qualified, valuable candidate for the role. If possible, include dollar values, ranges, and scales to quantify your value and skills to recruiters or hiring managers. Hone in on personal successes, combining each detail to create the full vision of you and your previous work experience. “Look at the job description you’re applying to and tailor your resume accordingly. 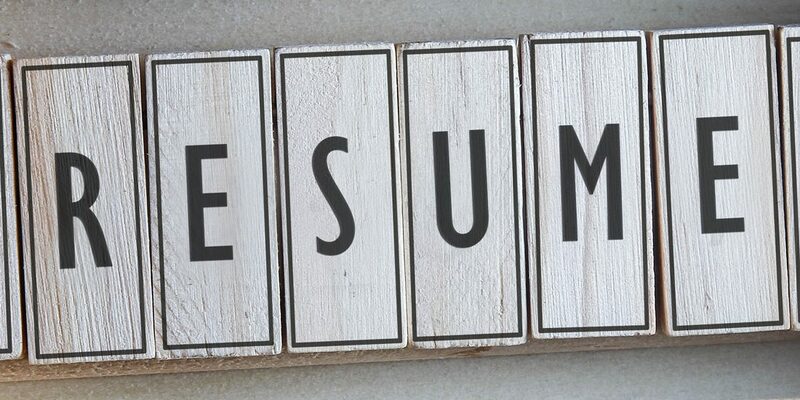 The most relevant information should be stated close to the top of your resume, so it is not overlooked or missed,” says Kam Kazimi, Manager of Permanent Search at The Mason Group. You should be turning in a different version for each role that you apply to, tailored and targeted to that specific position, as your resume is meant to demonstrate that you have the specific set of skills, experiences, and accomplishments necessary to do the job. Today, many employers and recruitment firms use keyword search software to efficiently and effectively find applicants who fulfill the key requirements of a job. For example, if an employer/recruiter is searching for a Manager of Finan­cial Reporting for a public company which reports in IFRS, a keyword search using Hyperion software might be conducted using the following words: ‘consolidations’, ‘IFRS’, ‘public company’, ‘Hyperion’, and/or ‘external reporting’. The more keywords you use in your resume, the closer to the top of the list your name will appear and the more often you will be considered for an opportunity but be careful not to overfill your resume with keywords. Add them in strategically so that they don’t appear forced into the copy. Over the course of your career, you may have completed a designation that is not relevant to your current career search. You will appear more focused in your search if you eliminate the designations that are not relevant or that you did not complete. For example, if you completed a designation as a Certified Financial Planner but are searching for a Controllership position, this certifica­tion would not be relevant unless the owner of the company expects you to advise them about their own personal finances. The only time you should disclose an uncompleted designation is if you do not have another designation that discloses your level of finance and accounting knowledge. Every line of your resume should add to the “picture” of you. This will allow the recruiter to really get a sense of who you are and who they will be hiring for the job. Include a few interests, as you never know if this could lead to an icebreaker between you and your interviewer. If you and your interviewer have something in common, this is a great way for them to remember or connect with you in the interview. Save the document that your resume is on with your first name, last name, and the current year included. Since you will most likely submit your resume online, there’s nothing more unprofessional than a sloppy document name. It may also be wise to create a different version of your resume for each position you are applying to. Certain tweaks can be necessary and even essential to ensure you land the job! Don’t send your resume as a word document, as this could result in an altered or disproportionate format. Instead, save the document as a PDF, which will ensure that the interviewer sees your resume exactly how you intended for it to be seen. Avoid the first person so that the resume reads as a description of what you’ve done, not a summary of who you are. No matter what, have someone else scan for typos and spelling mistakes to ensure your resume is clean, organized, and above all, grammatically strong! We have created a resume template you can use as a reference when writing your resume. Click here to download a copy.